Few martial-arts films rise to the level of 2008’s IP MAN starring the incomparable Donnie Yen. Its success spurred a series of sequels and spin-offs but living up to the original always proves a huge challenge. Sooner or later, the films will most likely lose the magic. For me, the IP MAN franchise started faltering when Sammo Hung stopped working with the stunt teams. Under his direction, the stunt teams created unforgettably awesome fight sequences in both IP MAN and IP MAN 2. He knew how to frame the fight so you could really see the incredible choreography. 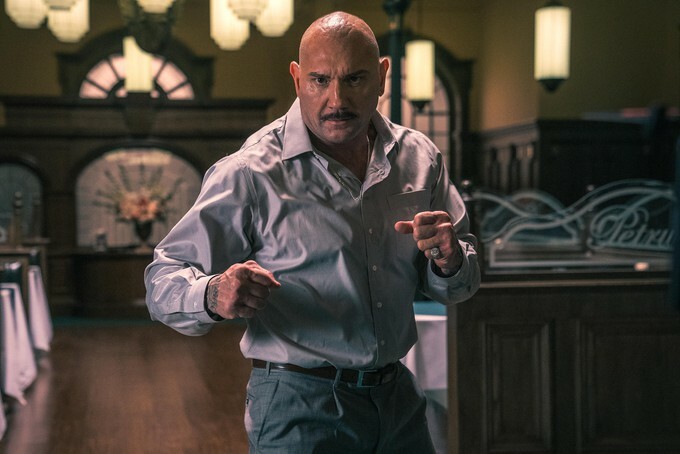 Over the years, more action films rely heavily on editing to mask the fact that their actors do not have the same mastery of the fighting arts their predecessors did. That reliance on the medium, and not the skill level of the cast, further removes the magic from martial arts films. 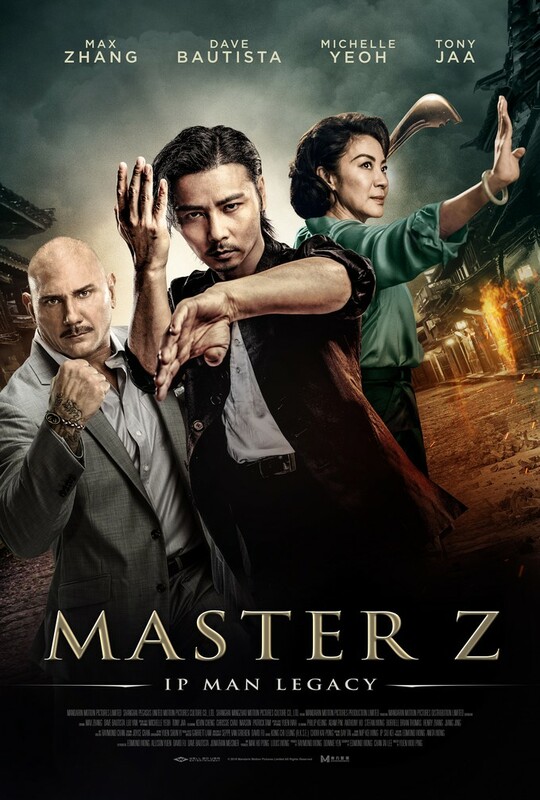 More than a decade later, Yuen Woo-Ping attempts to return the magic and mystique of martial arts in MASTER Z: IP MAN LEGACY, hitting theaters Friday, April 12, 2019. I must applaud the effort. Max Zhang (THE LOVE CLINIC) portrays Cheung Tin Chi after his defeat by Master Ip. Attempting to leave the martial arts lifestyle behind, he takes his son to Hong Kong with the goal of leading a normal life. When he finds himself employed at a bar on the brink of crisis, normal life seems less likely. IP MAN (2008) covered a lot of ground in both storytelling and action, exploring a wide range of topics from the Japanese occupation of China, balancing family and work, and of course lots of reasons to fight. Its ability to balance these topics and remain engaging are the reasons it remains my favorite martial arts film. MASTER Z attempts to explore similar territory regarding family and loyalty, but does so less successfully with somewhat less heart. While some moments prove more successful than others, it feels like there are too many things going on that the film occasionally loses focus. Rather than taking the time to fully explore one or two ideas, it jumps around frequently. This lack of time to fully get into a character’s situation and mindset kept me from getting as emotionally invested as I could have if I’d spent more time in certain moments. Some of you are probably thinking I’m crazy. Who goes to an action film for the story? Let’s focus on what’s important here: The fighting. Some of my favorite fight sequences with Max Zhang had more edits than I would have liked, but still provided some entertaining and effectively cringe-worthy moments. 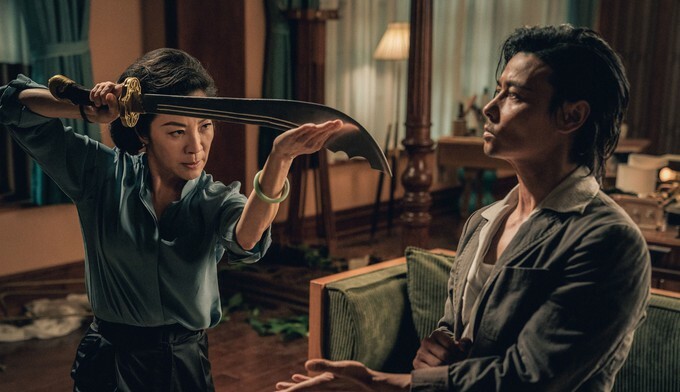 Without Donnie Yen, any IP MAN movie loses some of my interest from the get-go, but MASTER Z regains it quickly by casting Tony Jaa (ONG BAK) and Michelle Yeoh (WING CHUN, CROUCHING TIGER HIDDEN DRAGON). The latter is a woman who will make you look like an idiot in a battle over tofu. Both have enough charisma and fighting skill to bring some magic back. In fact, some of the film’s best fights involve at least one of them. Many of the sequences involving wire work are reminiscent of so many great martial arts films, and I’m happy to see the technique still being used. I’ve heard it said that martial arts are a dying art, and sometimes it seems that way. More people appear to be taking up the sport, but fewer people seem to be mastering it. Gone are the days of the true masters. 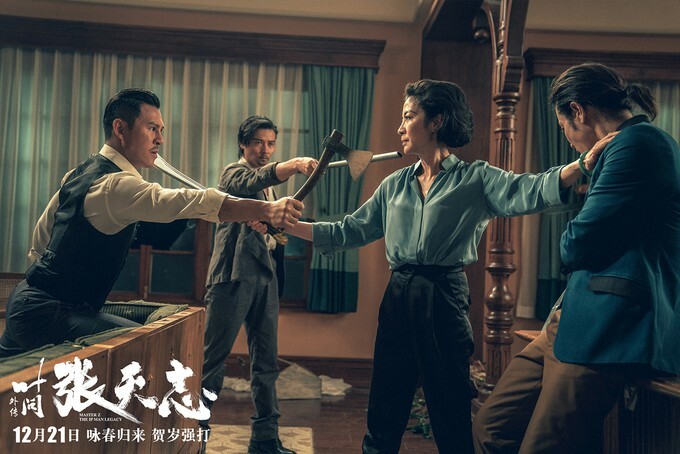 But perhaps if filmmakers like Yuen Woo-Ping continue making films like MASTER Z: IP MAN LEGACY, new talent will arise, and the magic will return. Maybe the time is right to abandon CGI and overly-edited fight sequences. Let filmmakers utilize choreography to showcase the cast’s talent to enable new masters to emerge and make their mark in cinematic history.